Do you want to stay healthy over the festive season but you’re feeling a little confused as to what to make that will still be tasty, nourishing and healthy? 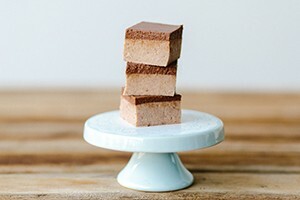 We have compiled a few of our favourite healthy gluten free sweet treats that are super easy to make that your guests are guaranteed to love as much as you will. If you make these in advance of the festive season, you will be able to share them with your friends and family so you won’t feel as if you’re ‘missing out’ on the normal Christmas food, by eating different food to them. As you’ll be prepared, it will help you make healthy food choices so you will no longer be tempted to snack on packaged ‘festive food’ that are full of preservatives, additives and colours. ‘Cherry Ripe’ inspired slice, another wonderful taste of cherries, macadamias and coconut and of course chocolate. Just in time for the festive season too! 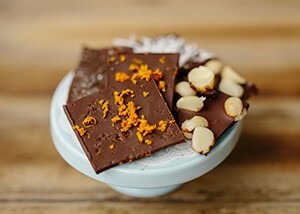 A delicious, healthy chocolate that you can make to indulge yourself, or your family and friends! This Turkish delight not only tastes like the real thing, but the gelatin has amazing gut healing properties and is full of amino acids. The pomegranate juice is packed full of nutrients too. 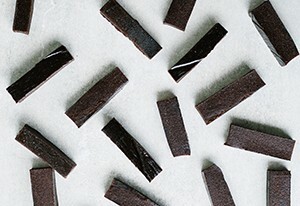 If you love liquorice you will love our healthy paleo version that is gluten and dairy free. The sweetener used in this recipe is organic black strap molasses which contains vital vitamins and minerals, such as iron, calcium, potassium, magnesium, vitamin B6, and selenium. 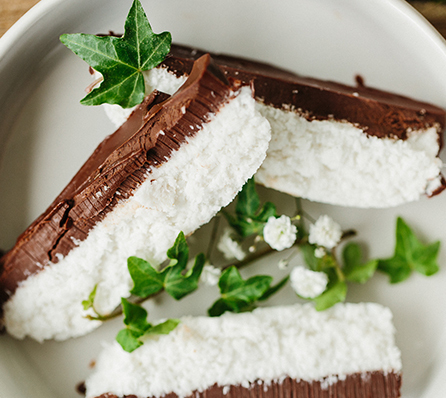 Do you love bounty bars, but want a super easy, healthier alternative without all of the preservatives and additives? This is one of those perfect desserts to pre-make and keep in the freezer until you’re ready to eat it. 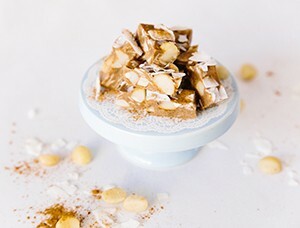 These are so decadent, yet so nourishing and incredibly easy. It’s sure to be a winner with everyone in the family! If you don’t like peppermint, you can replace it with vanilla powder or essence. Alternatively you could add a few drops of orange essential oil for a ‘Jaffa’ flavour. Christmas is going to be a hot one this year in Queensland. 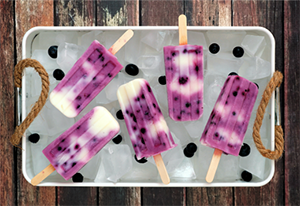 So why not make something like this which will cool you down and nourish you at the same time. It’s also a perfect treat for the kids. Finding a healthy (chocolate) snack can be a challenge if you’re looking for a nut, dairy and gluten free version. The Changing Habits Inca Inchi seeds are a complete source of protein, contain essential fatty acids and dietary fibre. 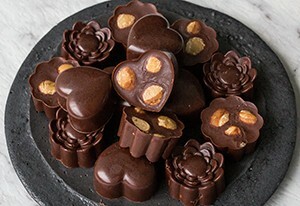 They also provide a wonderful crunchy texture, making the chocolate even more enjoyable. This recipe is so simple and easy to make as well as being incredibly good for you too! These are one of the easiest and yummiest bite sized treats you can make. 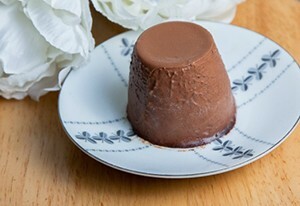 Pre-make this one and pop them in the freezer to save yourself time around Christmas. If you love slices this one is a sure winner. It has loads of flavour from the cinnamon, dates and Inca Inchi seeds. This is another recipe you can make in advance and store in your freezer until you need it. 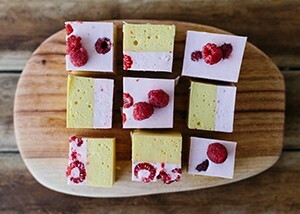 These little squares are a beautifully decadent treat packed with real food goodness. Not to mention gluten and dairy free for those who are intolerant! There are so many health benefits in these little squares- beneficial bacteria in the cultured yoghurt as well as the gut health and healing benefits in the grass fed gelatin. So have a wonderful Christmas, be kind to your body and enjoy these delicious healthy treats.